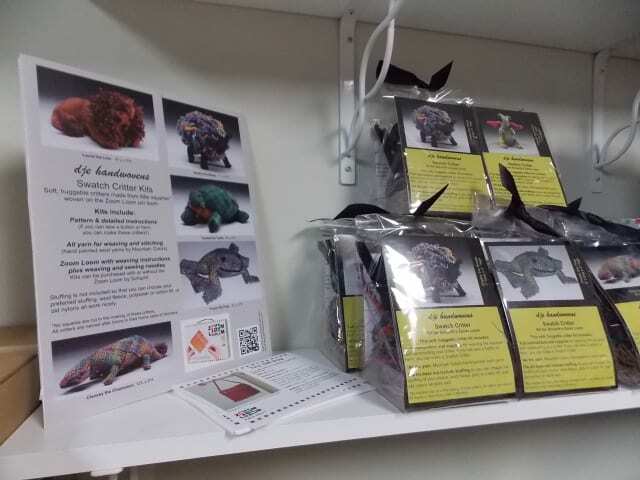 Last week, we announced that the Hillsborough Yarn Shop has become a Schacht dealer, and I promised a closer look at the Schacht products we carry. First up: the Zoom Loom. The Zoom Loom is Schacht’s littlest loom, a pin loom for weaving small squares of fabric. It comes with clear instructions, and is accessible enough for weavers-to-be from age 10 on up. Anne has been experimenting with the Zoom Loom, learning to use it and seeing what happens when different fibers and gauges of yarn are used. What to do with these squares? On their own they can be coasters, or sewn on as pockets. When you make a slew of them, they can be pieced together into scarves, shawls, bags, holiday ornaments, pincushions, blankets, and more. 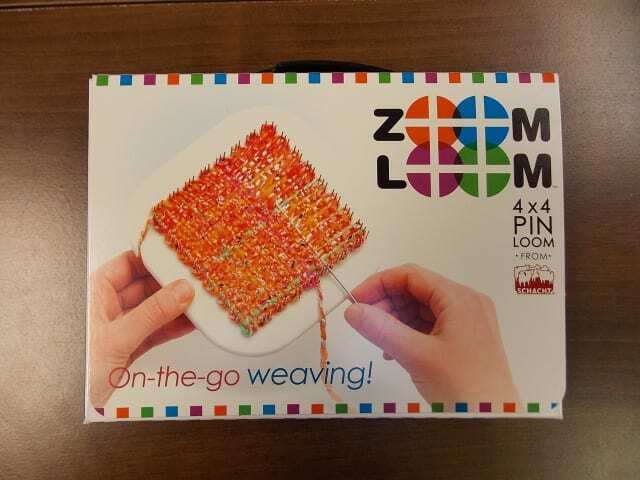 The Schacht website is full of ideas and inspiration for the Zoom Loom, and you’ll find others on our Pinterest “Weaving” board. 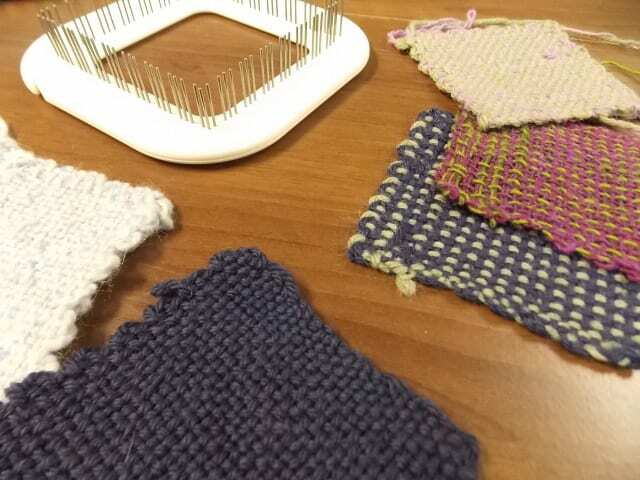 The clever Deb Essen, of DJE Handwovens, has come up with another use for Zoom Loom squares: Swatch Critters! Her kits include yarn and instruction for transforming a stack of squares into a stuffed sheep, frog, or dragon, among other creatures. 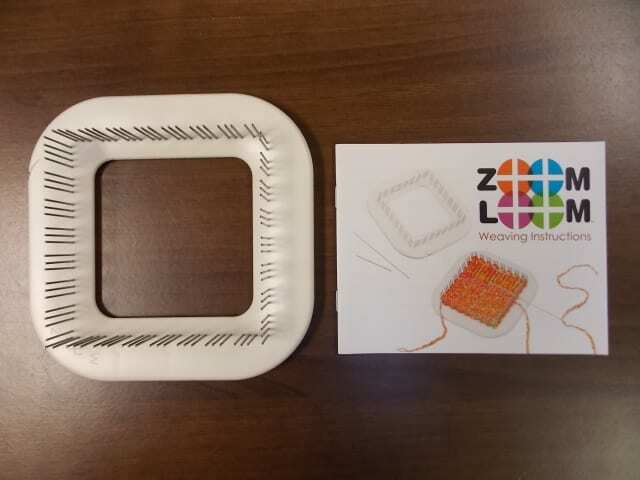 A Zoom Loom and Swatch Critter kit would make a stellar gift this holiday season! Intrigued? Come by the shop to get a closer look at our weaving supplies. 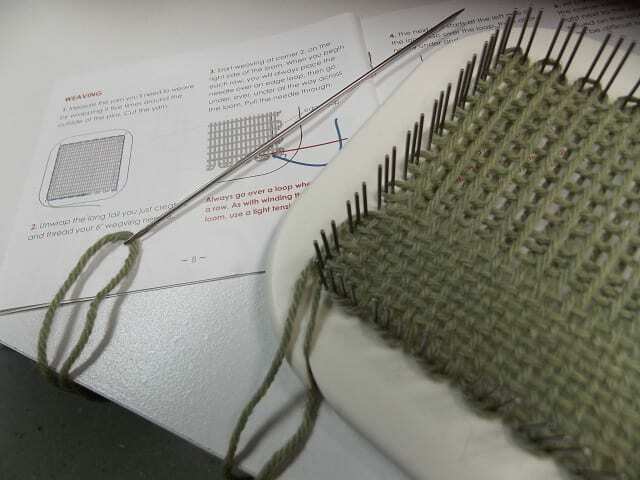 Try your hand at pin-loom weaving on our display Zoom Loom, which has a square in progress, ready to weave. Keep your eye on the blog in the coming weeks for a closer look at the Schacht Cricket Loom. In the meantime, see you at the shop!